Want to go and see Leftfield perform their Leftism masterpiece all the way through, whilst having a one-hour Indian head massage and listening to a great talk by Touretteshero? Well, WOMAD is your kind of event! It’s a huge mix of music, arts, spoken word and well-being, held at the stunning ancestral home of the Earls of Suffolk, Charlton Park. Starting back in 1980 as an organisation, World Of Music And Dance (see, WOMAD), held its first event in 1982, and it has gone from strength to strength ever since, now hosting events in over 20 countries, which regularly attract 80,000 people. So, who supplies the sanitation required for those 80,000 people? Portable Toilets Limited of course! www.ptl.uk.com supplies over 600 PJ type loos, and over 40 urinals, as well as numerous trailers and showers for their more specialised areas, such as WOMAD Camping and the Spa. As always, cleaners on all the loo blocks ensured that they were always kept clean and stocked (even after pesky campers have ‘borrowed’ the early morning rolls), and the huge tankering operations morning and night to made sure that every loo on the site was emptied twice a day. This year, www.ptl.uk.com worked with the organisers to change some of their usual VIP recirculating units to the market-leading PTL vacuum technology and it worked sensationally well! 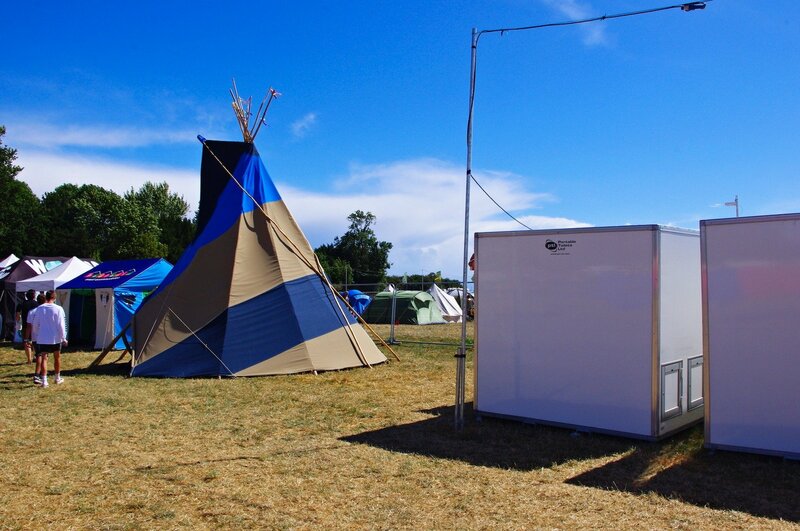 Fewer vehicle trips into CAMP WOMAD, fresh water flushes whilst also REDUCING waste really helped improve the guest experience. The tent looks stunning, and is exceptionally well maintained by Sonia and her team. All the kit comes from www.ptl.uk.com ‘s uber range – a semi modular vacuum system offering luxury sanitation with a more robust, ‘festivally’ feel. Winding up with Gilles Peterson on the Sunday (one among 130 acts over the weekend), WOMAD truly is a celebration of ‘the best music you’ve never heard’ – Peter Gabriel. It’ll be back, maybe I’ll see you there? By Greg Kazmierczak | 13th August 2018 | Festivals.